Lorraine Burns was born in Melbourne. 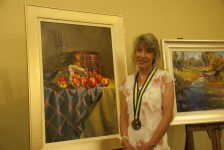 After completing a course in dressmaking, she began a career as a seamstress, but in 1990 the urge to paint became strong and she enrolled in a course in tonal painting as a hobby. 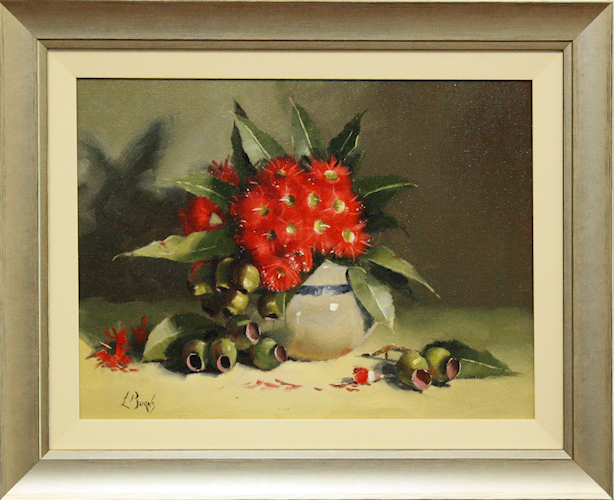 In the next year, she won her first art prize which encouraged her to develop her talent as an artist. Lorraine now works full-time in her studio. 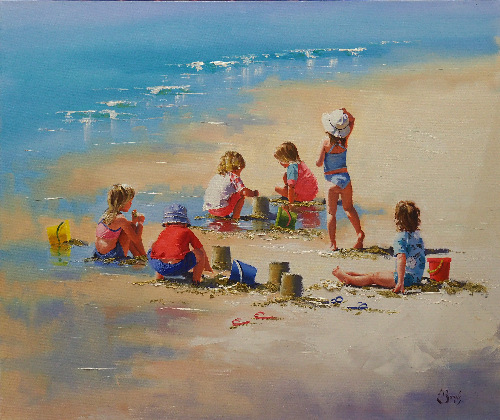 The crisp bright colours and children having fun at the water’s edge is the focus of many of her paintings. 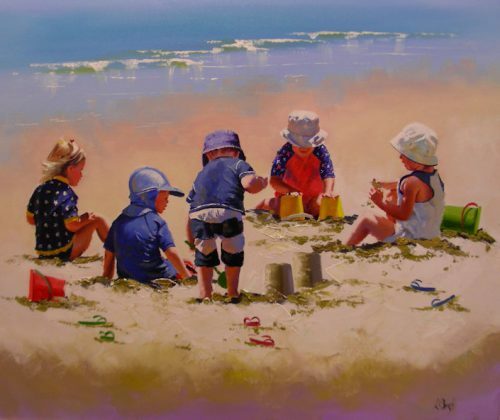 Lorraine draws inspiration from the Sunshine Coast beaches, particularly Noosa, for her beach scenes. 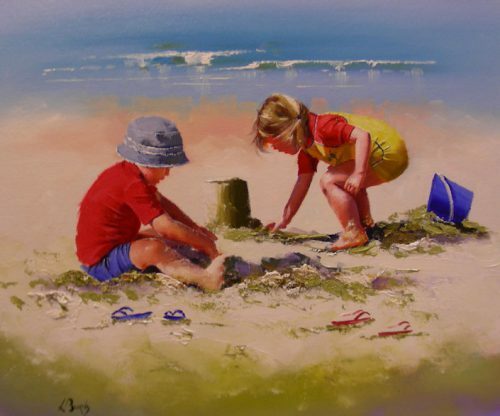 She endeavours to capture a sense of playfulness that is typical of children when they “hit the beach” with their endless energy and joyful laughter. 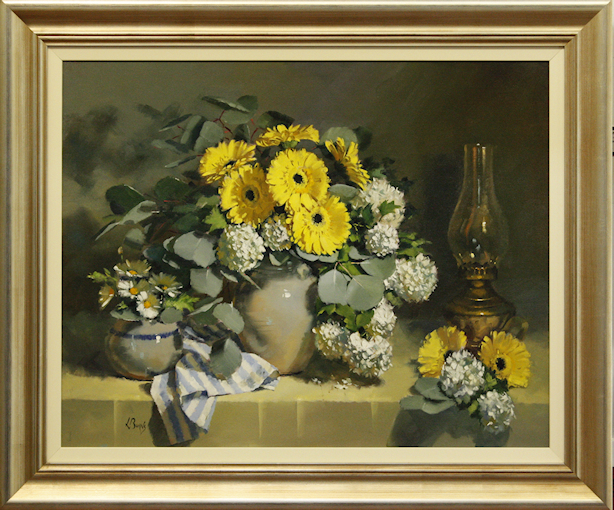 Lorraine loves to take ordinary, commonplace objects such as a pumpkin or a simple teatowel and, with the help of clever lighting, turn them into the extraordinary, producing strong, colourful still life paintings. 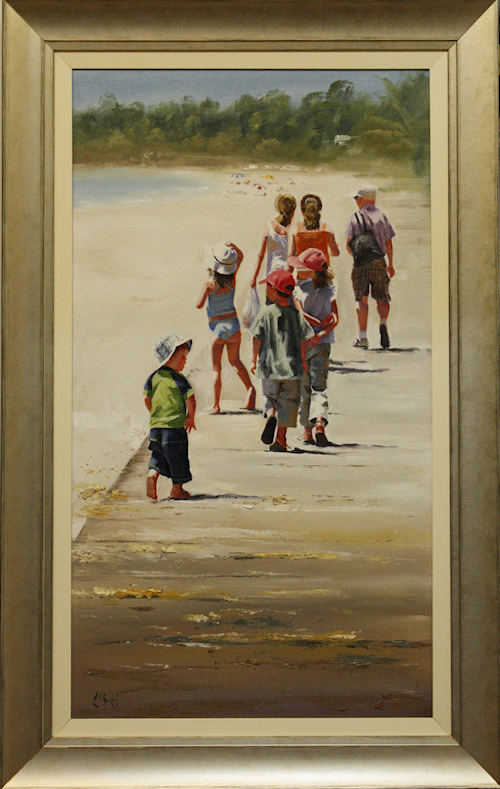 Lorraine’s paintings can be found in both private and corporate collections throughout Australia, New Zealand, USA, Japan, Europe and Britain.